Cloudy reddish mahogany color. Bright, fruity aromas and flavors of fresh crushed raspberries and fruitcake with an even, tart, fizzy, cloying medium-to-full body and a smooth, amusing, medium-length finish evoking shades of raspberry vinaigrette on lettuce, blood orange sorbet, and carrot finish. A nice combination of sweet and tart flavors with a hint of earthy vegetable. 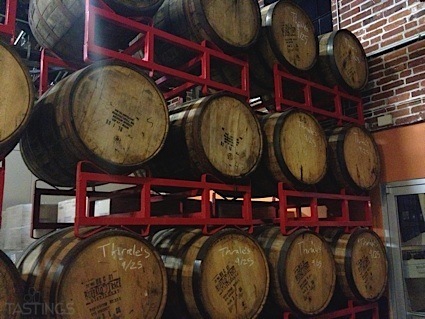 Bottom Line: A nice combination of sweet and tart flavors with a hint of earthy vegetable. 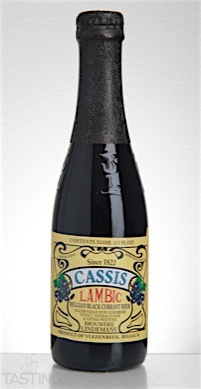 Brouwerij Lindemans Cassis Lambic rating was calculated by tastings.com to be 93 points out of 100 on 3/2/2016. Please note that MSRP may have changed since the date of our review.